You are here: Home » Social Security Disability » After You’re Social Security Disability Benefits are Approved » If I am approved, how much Social Security Disability back pay will I get? 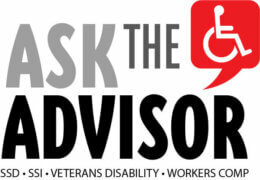 Learn to count the months of Social Security Disability back pay you can receive and to figure your potential back pay. If you are approved, you can receive up to twelve months of Social Security Disability back pay for months prior to your date of application. These months are called retroactive pay months. Back pay includes retroactive pay months plus months between your application and when monthly benefits start. When you are trying to figure how many months of back pay you will receive, count up the number of full calendar months between when your disability began as established by the Social Security Administration and when you expect your first check. Then subtract five months. You have to subtract five months because Social Security does not pay the first five full calendar months of disability. Another thing to keep in mind is that Social Security pays for the prior month, not for the month in which you receive the payment. For example, if you expect to receive your back pay in April, it will include benefits only through March. Here are a couple more tips for counting months of back pay. The first is to remember that only full calendar months count; so if you became disabled in the middle of the month, your month of disability does not count as one of the five unpaid months. The second tip is an exception to the first rule. If you become disabled on the first or second day of a calendar month, Social Security will count the month you became disabled as month number one of the five-month unpaid waiting period. This means that, when you are counting up months of disability prior to your application, you can include the month you became disabled in the count. The total amount of your Social Security back pay is the number of full calendar months between when you became disabled and the month in which you expect to receive your first check, minus five months, multiplied times the amount of your expected monthly Social Security disability payment. Remember to count your month of disability if you became disabled on the first or second day of the month. If there has been a cost-of-living increase during your back pay period, the actual total of your Social Security Disability back pay will be a little less than estimated because not all months will be paid at the current rate. For additional information about cost-of-living increases, see our article Will I Get Cost-of-Living Increases in My Social Security Benefit Check? Supplemental Security Income (SSI) back pay starts with the month after the month of application or the month after the month in which you became disabled as established by Social Security, whichever is later and does not include any retroactive pay for months before application. Although it is easy enough to figure SSI back pay months, trying to calculate the amount of SSI back pay will result in a quite unreliable estimate because SSI payments are calculated on month by month based on your income and assets in each month.